The Magic That Santa Brings. 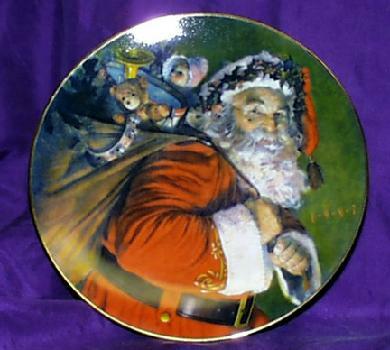 1987 Christmas Plate. Porcelain trimmed in 22K gold. 8" brightly colored Santa Claus with his toys. Excellent condition. Bidder to pay postage and insurance.